The entire cleanroom, including all equipment, fits in a ISU-90KCI container like this one. 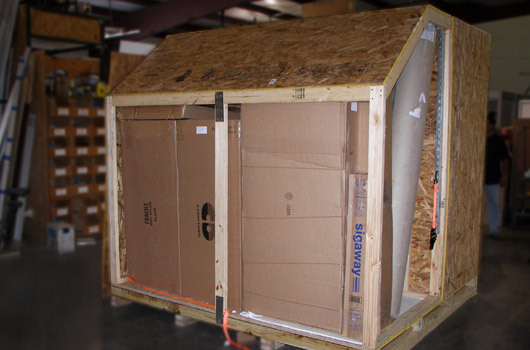 Lasco created a mockup of the Air Force shipping container to make sure the entire disassembled cleanroom could fit inside. Lasco Services prefabricated1751 Wall System create the four perimeter walls which are installed first. Continuing setup of the cleanroom. Ceiling plenums bolt on top of the walls. Installing the plenum with HVAC ducts. The cleanroom in completely set up, by only 2 people, in Lasco's test environment. All electrical is pre-wired to one connection point. 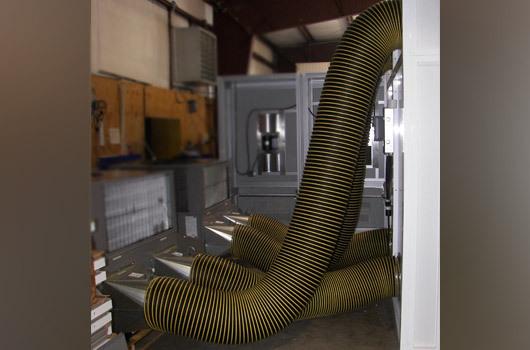 The HVAC unit rests beside the cleanroom and is ducted to plenum. Thank you for the prompt action. You guys are awesome! 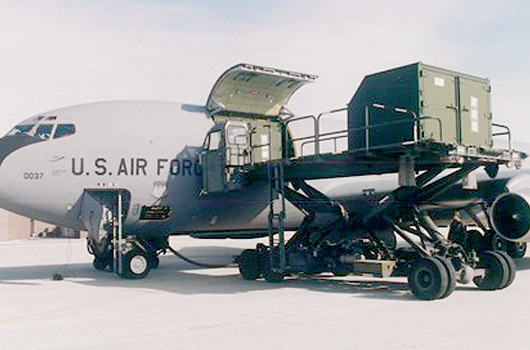 The United States Air Force approached Lasco Service in April of 2008 needing two Class 100 cleanrooms for work with radioactive isotopes. 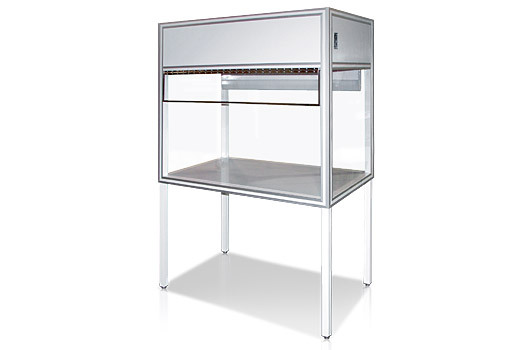 Each cleanroom would need to accommodate two workers along with worktables and laminar flow hoods. All the materials in the cleanroom would need low outgassing and need to be able to be easily, but thoroughly cleaned after each use. Further, the room would need to be able to be erected by no more than two persons alone. 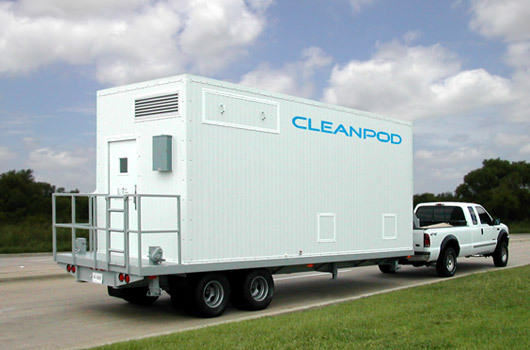 The cleanrooms could be installed in all parts of the world including extreme desert conditions. They would need to be air conditioned, with all return air HEPA filtered. 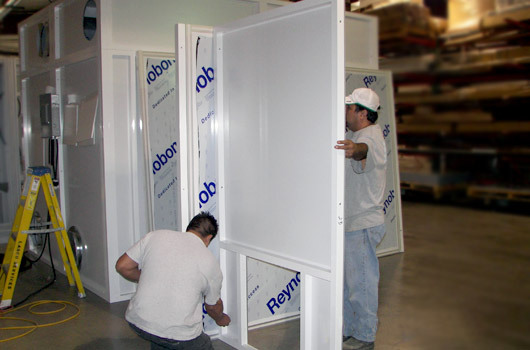 In additions, the cleanrooms would need an ability exhaust 100% of the cleanroom air through a HEPA Filter, if necessary. If that wasn't challenge enough, the entire cleanroom, including its HVAC equipment, work tables and flowhoods would all have to be to fit with an ISU-90KCI Container. The ISU-90KCI is a container that has one slanted side to allow for loading onto military cargo aircraft. The container comes with three pre-determined storage areas. 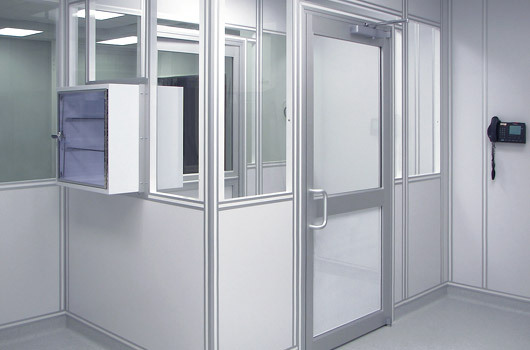 Lasco Services would have to design the cleanroom so that all the components could to fit within those three areas. Lasco Services created a wooden mock-up with the exact dimensions of the ISU-90KCI and its three storage areas. 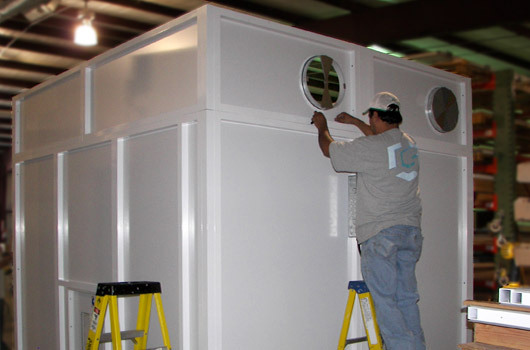 Utilizing its 1751 Wall System, Lasco Services prefabricated the four perimeter walls which would be installed first. The ceiling plenums would then bolt on top of the walls. 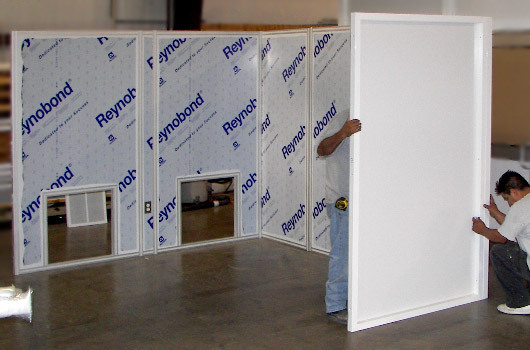 Next, the pre-fabricated ceiling modules would connect within the top of the wall modules and the installers could then set the HEPA FFUS and lights into the ceiling grid. The HVAC unit would rest beside the cleanroom and be ducted to plenum. The electrical wiring for all light, receptacles, and HVAC equipment was pre-wired to one connection point. 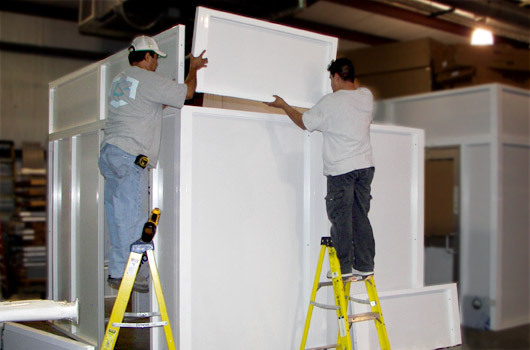 Lasco then prepared a detail step-by-step pictorial guide showing how two persons could erect the entire cleanroom. Lasco Services was awarded the project in July 2008. 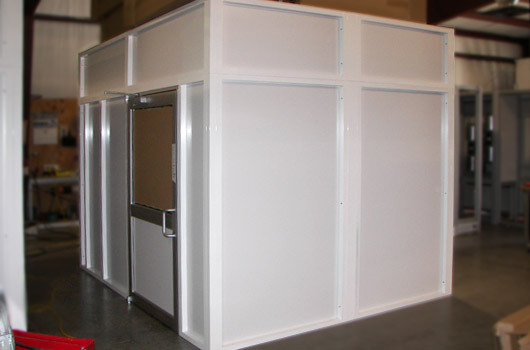 Within three months, the Lasco Services team designed, fabricated and completely shipped the two modular cleanrooms. By the end of October, the USAF was already erecting them.